Working with Killen's Barbecue has been so much fun! Kimberly Park Communications brought me on board to design the logo, brand identity, print collateral, menus, and email marketing campaigns for this wildly popular barbecue joint outside Houston, Texas. I'm so happy with how everything turned out, and it has been super exciting to watch the restaurant rack up accolades and gain national recognition since I came on board. Here are some bits and pieces from the project, as well as preliminary (very rough!) logo ideas and my visual inspiration. Head over to my project page to see more! Team Lewis & Partners hired me to create the logo, brand identity, website, marketing collateral, apps, interactive media, and environmental design for SR Ranch, an Austin-based master-planned residential community that opened in 2014. Here are some bits and pieces; you can view the whole project here! I also thought it might be fun to share my initial inspiration and sketches. Be sure to check out the rest of the project here! Hey, look! It's the first ever 826 Valencia Annual Report! I spent the last couple months of 2011 with the friendly folks at 826, hashing out a plan to publish an annual report that people would actually want to read. I designed the self-mailer annual to resemble a trusty ol' composition book, with fun diagrams, an illustrated gate-fold timeline, scrapbook-y photos, and fantastic illustrations by Anna Kwon. The posters are printed, and they're out and about! The San Francisco Child Abuse Prevention Center is an amazing organization which provides training and education, counseling, childcare, and a 24-hour family support line among its many services. I have been working with them for about a year, revamping their print collateral and overall aesthetic. The SFCAPC values children and family, as well as clean, effective communications – and it was time for a makeover! Above are a few shots of collateral for the SFCAPC's annual fundraising luncheon. I created the save the date self-mailer, four-panel foldover invitation and response card, and 24-page saddle-stitched handbook. Uptown Park banners and print ads. I finally managed to get some photos of a huge project I worked on a couple months ago. 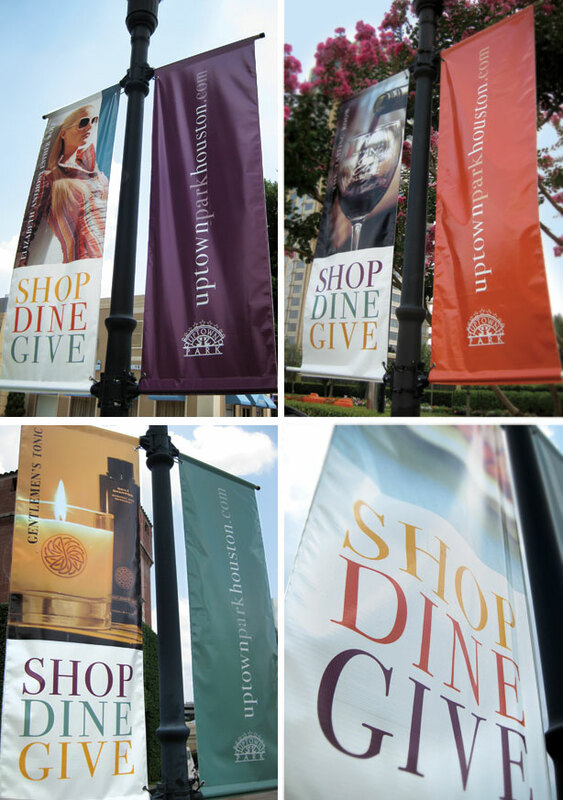 I designed thirty individual banners for one of Houston's premier outdoor shopping destinations, Uptown Park, in collaboration with Lewis and Partners. As part of Uptown Park's re-branding, I also created a series of full-page print ads. Each ad featured a "shopping list" of a typical Uptown Park patron: "Mom On the Go", "Young Man About Town", and "Girl Who Loves to Shop". What a beaut! As a former Londoner and current San Franciscan, I fell in love with this amazing piece that connects the skylines of both cities. It's Turner Duckworth's 2009 holiday card, printed by SF-based Dependable Letterpress. I wanted to hang it on my wall so badly that I asked TD for a print, and they were kind enough to send two! 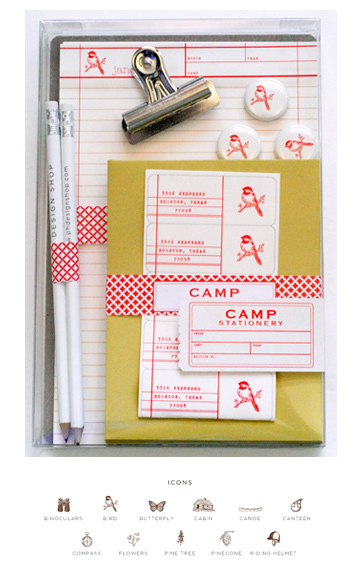 New design projects and inspiration from the desk of Jody Worthington and Co. Copyright Jody Worthington Graphic Design 2015.